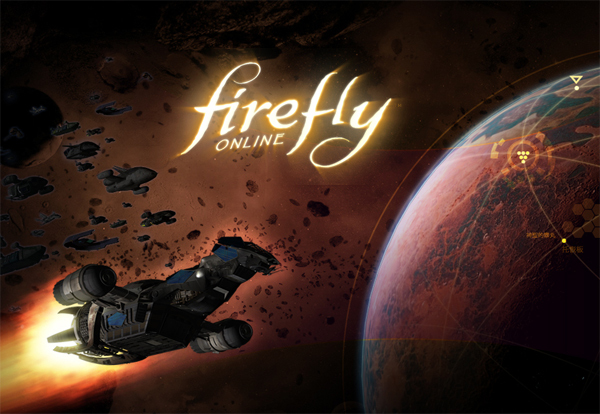 And a die-hard Browncoat (Firefly/Serenity fan), this isn't exactly what I was hoping for from a videogame based on one of the best TV shows of all time. But it's a start. Firefly Online is a social role playing game (RPG) based on Firefly, Joss Whedon’s cult-hit television series. 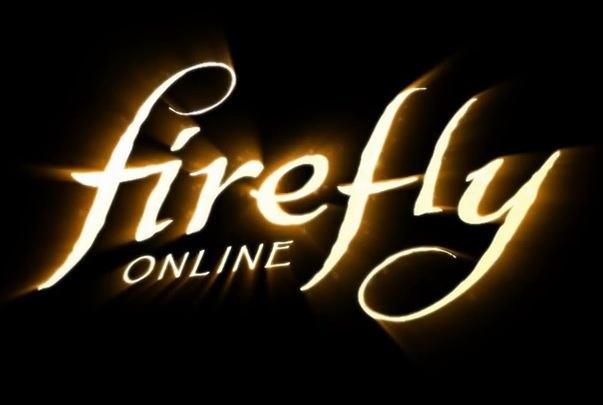 Firefly Online (FFO) is currently in development for iOS and Android, and may expand to include additional platforms. "Ender's Game" takes place 70 years after a hostile alien invasion left the Earth all but decimated. And in this exclusive clip direct from San Diego Comic-Con, Colonel Hyrum Graff (Harrison Ford) of the International Fleet addresses his new students (we, the viewers) at "Battle School," where future military champions are trained in the art of intergalactic warfare. Graff invites us to be inspired by the deeds of the legendary war hero, Mazer Rackham, who turned the tide of the war during the first wave. "We will never forget what the enemy did," says Graff with the kind of stern gravitas that only Harrison Ford can deliver. "But we defeated them. And we will do so again." The clip serves as a precursor to the elaborate interactive show awaiting everyone at this week's Comic-Con. "Ender's Game" will be featured at the Summit Entertainment panel the fan conference's hallowed Hall H room on Thursday at 3:50 p.m., where producer Bob Orci, director Gavin Hood, and cast members Harrison Ford (making only his second ever Con appearance), Asa Butterfield, Hailee Steinfeld, and Abigail Breslin will present more exclusive new footage from the film and participate in a Q&A. But a Hall H panel is only the beginning for "Ender's Game" at Comic-Con. The film will also be featured at the Summit Entertainment booth in the convention center's Grand Hall, where various promotional items will be given to the first 120,000 attendees traversing the convention floor. 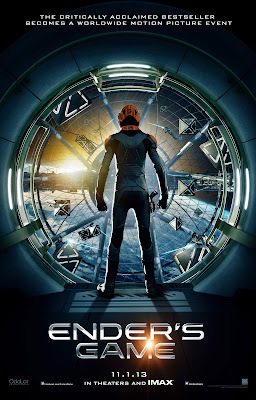 Attendees will also have a chance to win "fast passes" to the most extravagant component of the "Ender's Game" Comic-Con package: the exclusive "Fan Experience," which lies beyond the walls of the convention center. Fast pass holders can skip the line at the specially constructed "Ender's Game" exhibit outside of the nearby Hilton Gaslamp, which features eight unique rooms representing the many environments from the film, complete with set dressing consisting of original props and set pieces seen in the movie. Exclusive film footage will be on display on the exhibit's multiple LED screens and attendees will be able to interact with digital content, integrate photos of themselves into the Battle Room, and register to win a home makeover. Do you have the right stuff for all of this? Before you embark on your "Ender's Game" Comic-Con journey, you can test your skills as a potential new recruit of the International Fleet with the Battle School Aptitude Test. Our future, of course, depends on it. Get ready for the non-hostile invasion of San Diego by "Ender's Game." The film occupies theaters on November 1. Stumbled across this, looks interesting. A documentary about the villains of DC comics. Let's be bad guys! Warner Bros. Home Entertainment has announced the Blu-ray release of Necessary Evil: Super-Villains of DC Comics, a new feature length documentary narrated by Christopher Lee, with exclusive interviews with Richard Donner, Guillermo del Toro, Zack Snyder and more. The ultimate rogue's gallery documentary arrives on Blu-ray on October 25th. 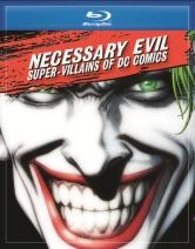 Official Synopsis: Necessary Evil: Super-Villains of DC Comics explores the thin line between right and wrong, the nature of evil and how super-villains can reflect society's dark side as well as our own personal fears. It also attempts to uncover the reasons why comic book fans are so fascinated by the very characters they hope to see defeated. The film focuses on DC Comics' most terrifying villains, including The Joker, Lex Luthor, Bane, Black Adam, Black Manta, Catwoman, Darkseid, Deathstroke, Doomsday, General Zod, Sinestro, the Suicide Squad, and others. Also included are interviews from over forty subjects, including DC comic book writers, artists, executives, filmmakers, comic experts, critics, historians and celebrities. Necessary Evil: Super-Villains of DC Comics contains footage from DC Entertainment's animated series, TV shows, video games and live action films, as well as spotlighting hundreds of covers, pages and panels created by DC Comic's legendary artists. Christopher Lee, who has played the villain more times than almost any other actor, will provide his unique voice as narrator. The villains' infamous tales will be told by directors Richard Donner (Superman: The Movie), Guillermo del Toro (Pacific Rim) and Zack Snyder (Man of Steel), as well as Geoff Johns (best-selling author and DCE's Chief Creative Officer) and other storytellers, creators and those who have crafted the personalities and profiles of the most nefarious baddies in DC Comics history. "I am delighted to be participating in this documentary which really gets to the heart of what villains are," notes Lee. "Even though I've played the hero more times than the bad guy (few know this! ), people remember me for the latter, perhaps because villains are more interesting and more complex. But they're still people. Tony Hopkins was right when he said, 'I don't play villains, I play people.' Each of these characters has a different personality and their reasons for being or becoming evil are not the same." "The villain is not always born that way; it's society and events in that person (or creature's) life that influences their mind. Sometimes good or bad can be a state of mind and depends on what side you're on. And you can be very cruel or charming, amusing or dangerous. But one of the most important things to get over to the audience is that some of these people are doing things they can't really help." Christopher Lee's roles in more than 200 films include star turns in several Hammer Horror Classics as Frankenstein's monster in The Curse of Frankenstein (1957), Count Dracula in Dracula (1958) and the Mummy in The Mummy (1959). Most recently known as Saruman in The Lord of the Rings film trilogy, The Hobbit: An Unexpected Journey (2012) and upcoming film The Hobbit: The Desolation of Smaug (2013). "The Joker! Black Adam! Lex Luthor! Sinestro! DC Comics has the best Super-Villains in the world — and in Necessary Evil: Super-Villains of DC Comics, creators in film, television, animation, video games and comic books talk about why and how they've helped build them into worldwide favorites," stated DC Entertainment Chief Creative Officer Geoff Johns. Complete technical specifications and special features have yet to be revealed. Fans attending the 2013 San Diego Comic Con will be able to catch a first look at the documentary as Warner Bros. Home Entertainment presents an exclusive cut and an accompanying panel (slated for 7:00-8:00 pm in the 1,000-seat Room 6DE) with participants including Geoff Johns, Geoff Boucher (moderator), JM Kenny, Scott Devine, Andrea Romano, Kevin Shinick, Ed Boon and Andrea Letamendi, Ph.D. Additional panelists will be announced as confirmed.